As the first woman to succeed her husband in Congress, widow Mae Ella Nolan set a precedent by championing the legislative agenda of her late husband, John I. Nolan. Congresswoman Nolan’s example influenced many future widows. But her career, which included the distinction of being the first woman to head a congressional committee and all the attendant media attention, proved short–lived. In the 67th Congress, Nolan was appointed to the Committee on Woman Suffrage. When the 68th Congress convened in late 1923, she received an assignment on the Committee on Labor. Nolan also was appointed, late in the 67th Congress, to chair the Committee on Expenditures in the Post Office and received national press attention as the first woman to chair a congressional committee. She also chaired the panel in the 68th Congress. 1Kenneth Martis, The Historical Atlas of Political Parties in the United States Congress, 1789–1989 (New York: Macmillan, 1988). 2For a concise history of the Union Labor Party in San Francisco politics see, William Issel and Robert W. Cherny, San Francisco, 1865–1932: Politics, Power and Urban Development (Berkeley: University of California Press, 1986): 139–164. See also, Sally Sloane, “Only Woman in Congress,” 16 December 1923, Washington Post: F3. 3Office of the Historian, U.S. House of Representatives, Women in Congress; 1917–1990 (Washington, D.C.: Government Printing Office, 1991) indicates that Nolan ran as an Independent. All other referenced sources indicate that she ran as a Republican. See, for example, Michael J. Dubin et al., U.S. Congressional Elections, 1788–1997 (Jefferson, NC: McFarland & Company, Inc., 1998): 448; “Mae Ella Nolan,” Biographical Directory of the U.S. Congress, available: http://bioguide.congress.gov/scripts/biodisplay.pl?index=N000125 (accessed 11 January 2005); and Hope Chamberlin, A Minority of Members: Women in the U.S. Congress (New York: Praeger, 1973): 46–47. 4“Congressman Nolan Is Dead,” 19 November 1922, Los Angeles Times: I10; “Representative Nolan Dies in California Home,” 19 November 1922, Washington Post: 3; “Widow Sees Nolan’s Seat,” 30 November 1922, Washington Post: 9; “Delay California Election,” 11 December 1922, Washington Post: 6; “Mrs. Nolan Goes to Congress to Succeed Her Late Husband,” 24 January 1923, New York Times: 1. 5“Women in Congress,” 27 January 1923, Los Angeles Times: II4; quoted in Suzanne Pullen, “First Female California Representatives From the City,” 10 November 2000, San Francisco Examiner: A7. 6“Mrs. Nolan Takes Her Place in House,” 13 February 1923, Washington Post: 4; Chamberlin, A Minority of Members: 46. See Mae Ella Nolan’s memorial speech at the time of Julius Kahn’s (husband of Florence Prag Kahn) death; Congressional Record, House, 68th Cong., 2nd sess. (22 February 1925): 4385. 8Sloane, “Only Woman in Congress” Steven V. Stathis, Landmark Legislation, 1774–2002 (Washington, D.C.: Congressional Quarterly Press, 2003): 186. 10Constance Drexel, “Mrs. Nolan No ‘Crusader’; Mrs. Barrett Gains Note,” 24 February 1924, Washington Post: ES 3; “In Congress 2 Years, She Did No ‘Talking,’” 5 March 1925, Washington Post: 9. 11Susan Tolchin, Women in Congress (Washington, D.C.: Government Printing Office, 1976): 57. 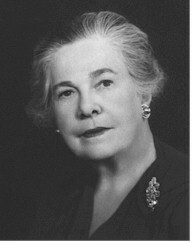 "Mae Ella Hunt Nolan" in Women in Congress, 1917-2006. Prepared under the direction of the Committee on House Administration by the Office of History & Preservation, U.S. House of Representatives. Washington: Government Printing Office, 2006.